On days where you long to lounge and just sit back and relax, having a deck chair helps you to accomplish exactly just that. A well built chair or seat is a worthwhile investment. You can easily put the chair away after use due to its foldable nature. Rather than buy a mass-produced piece, why not try building one yourself? Your family and friends will praise you for the effort, and doubly after you’ve successfully built one! Due to difference in body size, adult and children seats should be measured and built accordingly. Though they come in various designs and dimensions, the building process is relatively similar and easy. All you need to do is to prepare all the needed materials and tools, and start building. 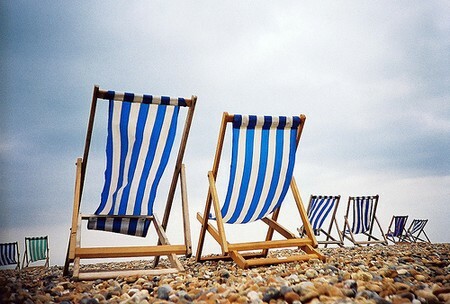 To learn how to build a deck chair, you will need to know what type of chair you are going to build. 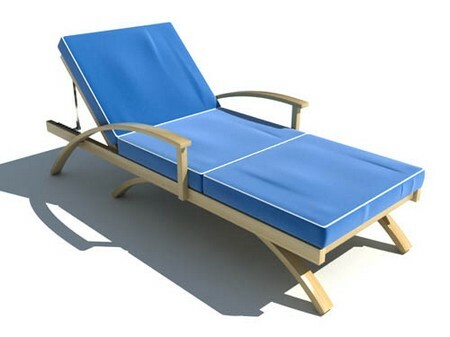 The more common types are chaise, fabric or Adirondack. It’s a matter of preference so do read up and find out more about the characteristics of each type prior to your decision-making. Next, decide on the height, width and depth of the chair. Usually fairly thin wood are used but if they come from a good stock, they will be sturdy enough to hold normal weight. The ability to hold weight is also determined by the organization of the wood pieces. To affix the rails, you need to first round the corners of the rails. Then, use a drill to make holes both on the upper and lower part of the side rails. On the two smaller rails, the same procedure is repeated but now the holes ought to be nearer to surface ground. The outside rails can be united using tack nails and glue. The shorter rails should be within the larger ones for balance and support. For additional support, attach measured wood panel with glue, followed by nails for extra adhesive strength. Using some stock, create square holes with the help of a drill. To form a mortise joint, place the ends of the wood together. They should be placed at the middle and top sections of the side rails. By doing so, there is no need to create lateral support for the upper part of the chair. The final step is to give it a fresh coat of paint. Paint in continuous and smooth strokes, giving it due time to dry. These are simple outlines on how to build a deck chair. Not only that it is a cost-efficient project, you get to enhance your carpentry skills at the same time.